The visionary Director of Opera at the Royal Opera House Covent Garden is awarded one of the most important Romanian decorations in a special ceremony conducted by HE Mr Dan Mihalache, the Romanian Ambassador to the Court of St James’s, which will open our 'Gifts of Spring' event, a celebration of culture, creativity and renewal. The distinction rewards Kasper Holten’s ground-breaking contribution to the promotion of George Enescu’s musical genius in Britain and throughout the world. 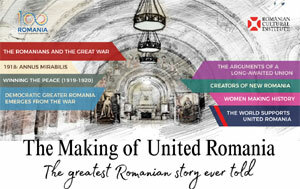 The event, moderated by the RCI director Dorian Branea, is organised by the Romanian Cultural Institute in cooperation with the Romanian Embassy in London. 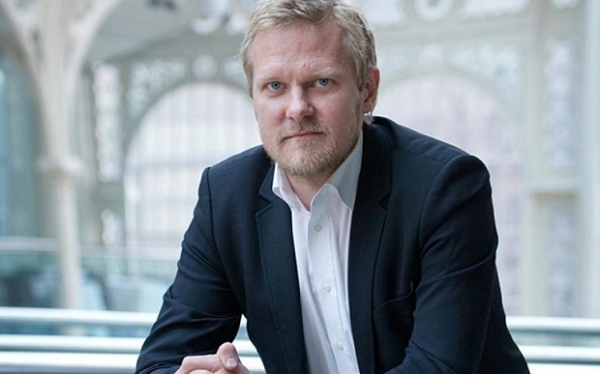 Danish director Kasper Holten was appointed Director of Opera for The Royal Opera House in 2011. An acclaimed director of opera and theatre, he has directed more than 65 productions, including an award-winning 'Ring' cycle for the Royal Danish Opera. He made his directorial debut at the Royal Opera House with 'Eugene Onegin' in 2013 and has since directed 'Don Giovanni', 'L’Ormindo' and 'Król Roger' for the Company. He trained by assisting directors such as Harry Kupfer, John Cox and David Pountney. He was appointed Artistic Director of the Royal Danish Opera in 2000 at the age of 27, a post he held for 11 years. In 2010 he adapted 'Don Giovanni' for cinema in his film 'Juan', released worldwide. He is Vice-President of Opera Europa, an association of European opera houses and festivals. He has received a knighthood and a medal Ingenio et Arti from Queen Margrethe II of Denmark. At the Royal Opera House Covent Garden, Kasper has devoted to promote new operatic commissions and to introduce new productions and increase the variety of production styles. Under his leadership, with support from the Romanian Cultural Institute, the Royal Opera House produced a hugely praised, sold-out production of Enescu’s 'Oedipe', which marked an unlikely but much-deserved global come back of the great Romanian composer’s operatic masterpiece.